Download Twitter 2017 Mockup Template Free PSD. Twitter just rolled out new look for brand pages for desktop again in 2017. 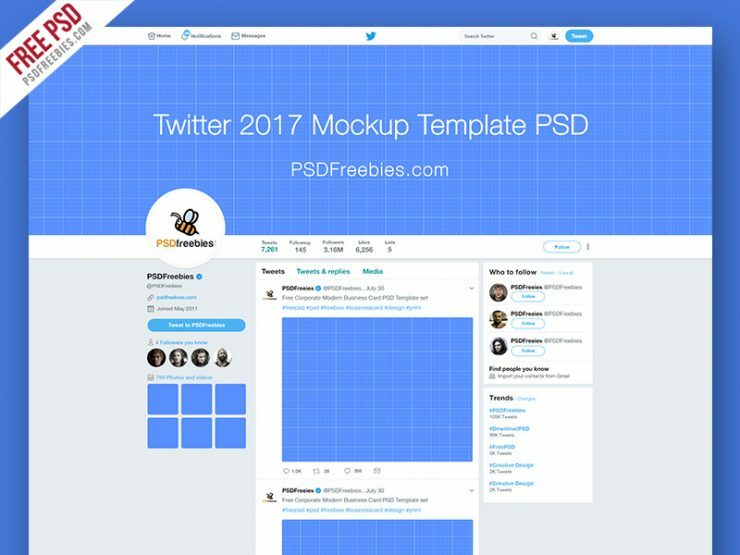 This New Twitter 2017 Mockup Template Free PSD is designed to make it easy to test your brand profile & cover image designs across multiple sizes. Just modify the smart object in this Twitter mockup psd files and see updates applied across all files/sizes. So Download this free Twitter 2017 Mockup Template, perfect for pitching and presenting your Twitter campaigns and designs. The psd file can be edited in Adobe Photoshop, and to be able to change the text and color. Hope you like it. Enjoy!